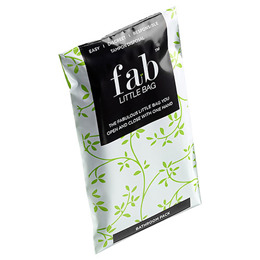 Opaque, sealable, biodegradable sanitary disposal bags for tampons and pads. The best disposal method. Made from 35% organic material. The bathroom pack contains 20 sanitary bags. LDPE Partly made from sustainable materials - biodegradable. 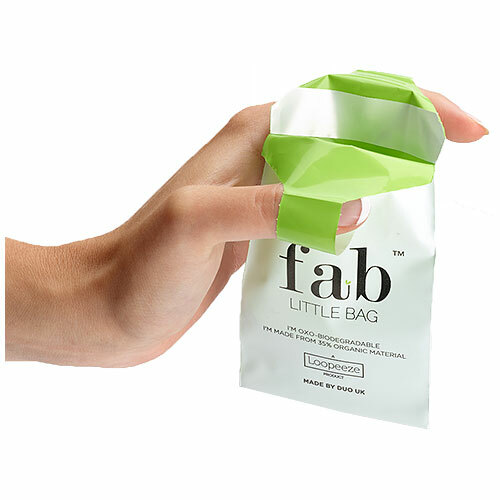 Used single handed loops to open the bag, add sanitary product to the bag, it can also fit a liner, wipe and applicator if necessary, seal closed and safely dispose in a bin. Below are reviews of Fab Little Bag Tampon Disposal Bag Bathroom Pack - 20 Pack by bodykind customers. If you have tried this product we'd love to hear what you think so please leave a review. Opaque, sealable, biodegradable sanitary disposal bags for tampons and pads. The best disposal method. Made from 35% organic material.